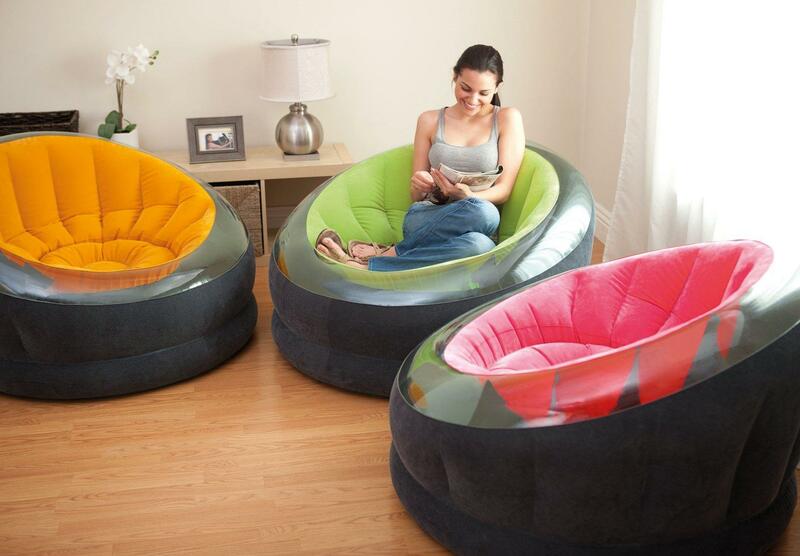 What do you think of this Inflatable Empire Chair? Modern, sophisticated and endlessly comfortable best describes this new line of inflatable chairs. Built with an innovative transparent trim, this chair is the perfect combination of form and function. It's ideal for teens, college students and young professionals.